Private management application for a wind farm repair and maintenance service company. 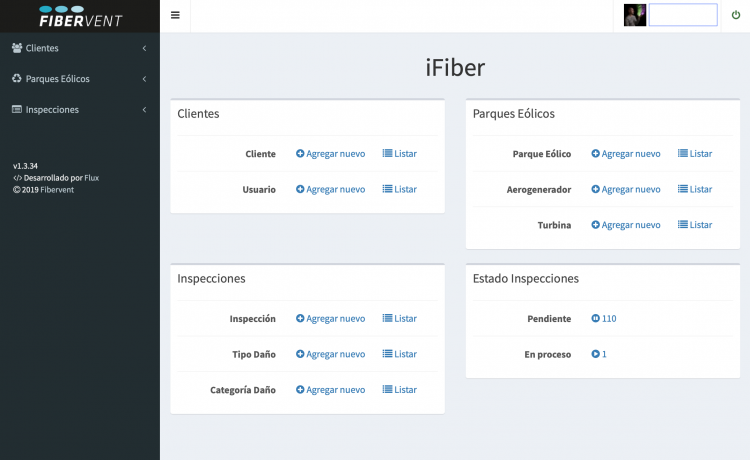 The application has been fully adapted to the workflow of the company. The business model consists in conducting damage audits on wind turbine blades. The client needs an online application adapted to high mobility environments. The technicians of the company move to wind farms located in Europe and Latin America, they carry out hundreds of photos with long distance objectives to assess damages and damage. These damages must be geolocated and noted exactly at the distance found on the axis. The technicians collect a high volume of information and a lot of photos. All of this is remotely introduced in order to generate a very complete report on all detected damages. The report with PDF graphically visualizes on the schematic plane of a wind turbine the detected damages and their category. With this application the company has managed to increase its turnover because it has been able to produce more audit reports over half time.